Giving my customers something of value that I love (moon readings) has also been wonderful as I never thought I could combine this with my designs. It has made it so much easier to share and sell products as I am sharing from a place of love and my message is something I am passionate about. Working with Christine was such a huge step for me to begin owning my message and shouting it from the rooftops! Before, I felt like I was sending out a hodge-podge of information, showing up randomly and inconsistently. Now there has been a big shift in the way I show up. I feel proud of the content I put out and the way I am sharing with my community. My entire website speaks perfectly to my ideal client, I know where I’m taking my audience next and more importantly, I feel more confident and excited to share my message with the world. Christine was fantastic at not just doing the work, but supporting me through the ups and downs of business! THANK YOU for your time, energy, and dedication. Christine has a knack of understanding exactly what your website copy should say, she can balance your brand with what it needs to communicate. Christine reviewed my site in an hour and after I made the suggested changes I’ve seen a 50% increase in conversions. Don’t underestimate how important that web copy is. The amount I spent with Christine will pay for itself so many times over. Just wanted to drop you a line to say your website review was brilliant. I am working through it making the suggested changes and it feels so much better and more like me. Thank you so much you are a star! I absolutely loved the Write to the Heart of your Message sessions! I discovered that deep down I know more and am capable of more than I can imagine. I now have a lot more clarity and feel a lot more confident to speak, both in public and online, and I felt empowered and supported throughout this experience.. I now have a marketing message and 10-second pitch that rocks! I love your energy, you are so easy to talk to and you are laser sharp. You offered some incredible ideas to me and you were able to grab nuggets from chatter. I definitely plan to recommend you and use your services in the future. Christine has a real talent for being able to hear your message, even when you can’t hear it yourself. That was the biggest revelation for me – I discovered that deep down, I actually did know what my message was, I just needed Christine’s help to get to the core of it and help me hear it too. Write to the Heart of Your Business helps you clarify who YOU are and what you can best offer – and has very much changed the look and feel of my website. I have realised my power as a poet and storyteller and my intuitive goddess self that simply needs to see and hear women, allow them to tell their story and find a new way of living happily. The great writing prompts and weekly accountability helped get me writing and gave me clarity on my new focus for 2016. I loved Write to the Heart of Your Business so much, it was a game changer! I let go of what I thought people wanted to hear and literally wrote from my heart. I've now got my new website up and I've further clarified what I'm here to do. I would definitely recommend this course to those who enjoy writing but feel stuck in some way about their business or how to express themselves through words. There was so much content, encouragement and accountability, it was great in every way. For the last 12 years, I’ve struggled to get to the heart of my business and communicate that to my audience. The language of corporate speak weighed heavily on me and I thought that I needed to be reserved and corporate-like in all my copy. Since taking Write to the Heart of Your Business, I feel more confident to communicate who I really am and how I want to be known in the world. This has meant my blogs, Facebook posts and LinkedIn articles are getting better responses from my ideal target audience. I love that I feel more confident to express who I really am, this gives me more freedom and saves me all that time I used to spend second guessing myself. The work you did for us is really valuable for me and gives me the direction I need. These sessions came at the perfect time, just as I was rebranding my site. 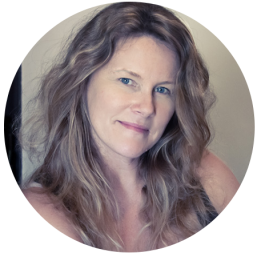 It was wonderful to delve so deep into my why, what and who, as this got me focused on the messages I want to communicate with my marketing and my offerings, and made the writing so much easier. One of the prompts even gave me the idea for the perfect lead magnet for my new site – so really, I think Christine is a genius! I would recommend these sessions to anyone starting on the journey of marketing (or rebranding) their business. I completely loved the Write to the Heart of Your Message experience. It was so amazing setting aside 10 mins daily to reflect and go inward, explore the core value behind my business and getting back to my ‘why’. The writing prompts instilled the feeling of inspiration, ignited the overall vision and reminded me why I set out on this venture. At the time, I was creating a new business venture and I thought I'd be stumped to know what to write, but the prompts made the words just flow out of me - and I loved that. This is such a powerful tool to get to the heart of why you created the biz you have, I would recommend it to anyone trying to get clarity and attract their ideal client. I followed your advice when it was bold and new in law to be a personality. I’m so pleased I was brave with my website. Working with Christine blew my mind. 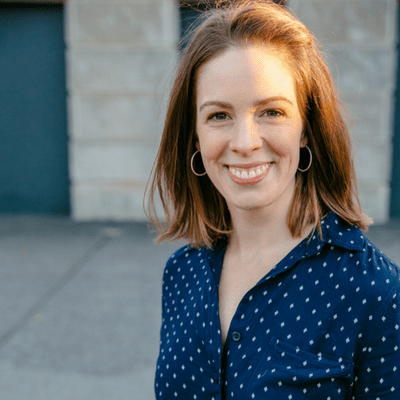 In just 90 minutes, she helped me say what I’ve been trying to say about my business for over ten years – and in my own words. She helped me make connections in my business that I had never seen before and she came up with an elevator pitch that was damn near perfect. I also realized that in trying to sound ‘professional’ on my site, I was losing my personality. I now know who my ideal clients are and how to speak to them. I’m ready to rewrite my website and I know my new copy will be much more reflective of my style and will give my clients and me something to instantly bond over. Working with Christine was a great process – she is a master with words. Have been meaning to contact you to say how thankful I am! What you created was invaluable thank you so so much!